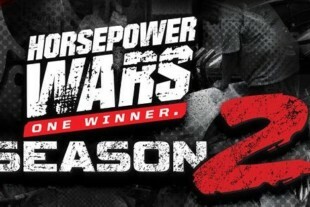 This is an outline of the 2018 Horsepower Wars Pony Wars Rules. 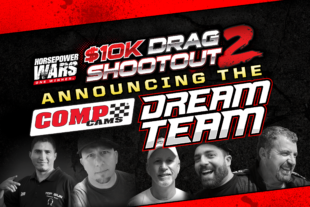 Two teams will compete against each other in an effort to settle the Pony Wars – with a 2017 Ford Mustang GT and 2017 Camaro SS doing battle on the chassis dyno, road course, and dragstrip. 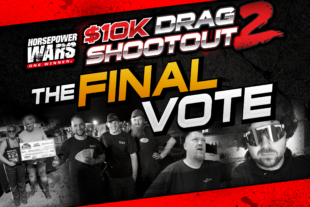 Since Horsepower Wars leaves nothing stock there will be two stages of the competition – the first, each team will have a $5,000 budget for a â€œbolt-onâ€ battle. In the second stage, each team gets an additional $15,000 to maximize performance and add boost – keeping in mind that they are competing in three completely different venues. 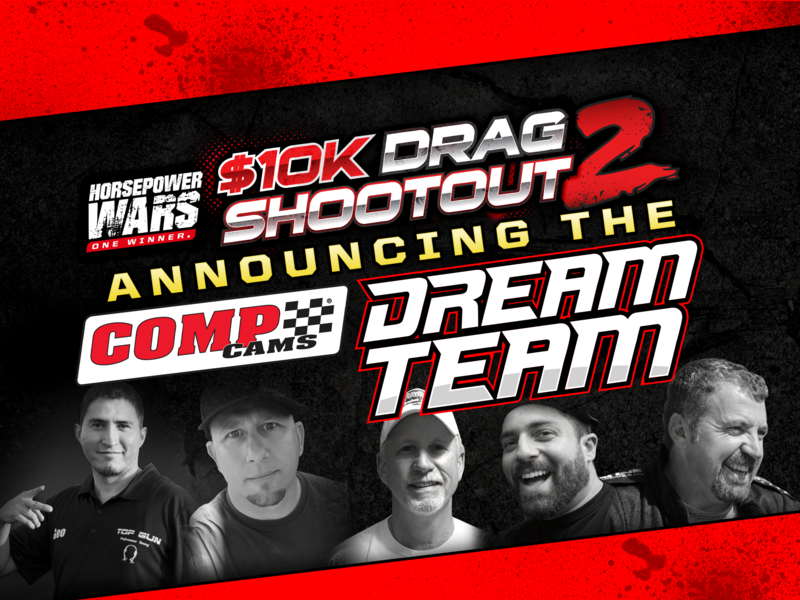 Horsepower Wars host Brian Petty will shoe the cars for the dragstrip competition, while a professional driver will be tapped for road racing. The Mustang team shall be led by Steve Turner, Executive Editor of FordNXT Magazine (FordNXT.com) and the Camaro team shall be led by Chase Christensen, editor of LSX Magazine (LSXMag.com). Assisting each team shall be several leading experts from the automotive aftermarket. Build Location and Details: Each car will be built by the technicians at the Horsepower Wars Tech Center, with each Editor managing the build. 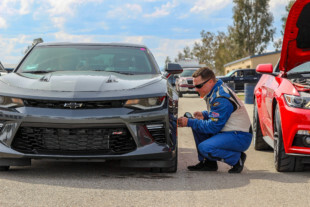 Race Locations and Procedures: Dyno: testing will be conducted at the Horsepower Wars Tech Center by trained technicians. Drag Racing: Testing will be conducted at Auto Club Raceway in Fontana, CA. Road Racing: testing will be will be completed at Willow Springs Raceway in Willow Springs, CA. Scoring and Points: Scoring is simple, each car will be given between 1-3 points based on each challenge. 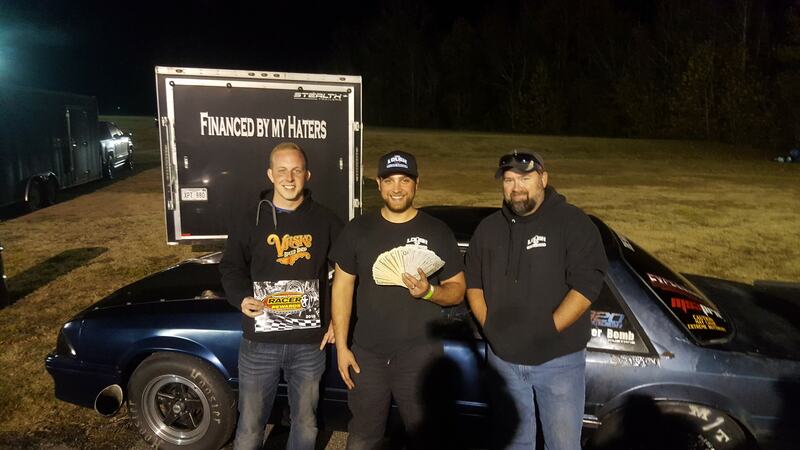 Winning the dyno challenge is worth 2 points, drag racing will count as 3, and the road course will count for 3; in addition, best 60-0 braking distance will count for 1 additional point. 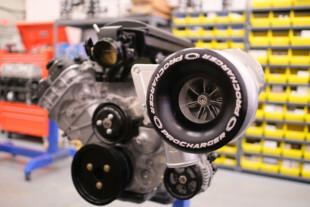 This is to eliminate the advantage of sheer power that lends itself to winning both the dyno and drag racing challenge. 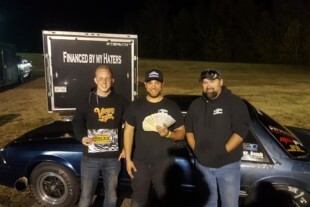 The car that has the most points at the end of the eight events (the four $5K events from Stage 1, and the four $15K events from Stage 2) takes home the crown of overall best Pony Car. • Dyno testing: the winner shall be the car with the highest peak horsepower. Tiebreaker will be torque. • Drag racing: the winner shall be determined by the quickest e.t. Tiebreaker will be MPH. • Road racing: the winner will be determined by fastest lap time of the day. • Braking: the winner will be determined by the lowest average of the two best 60-0 tests conducted. In case of a tie for the overall winner, the tiebreaker will be a best of three (3) heads-up drag race. 1.Each team will start with either 2017 Mustang GT and 2017 Camaro SS, both equipped with automatic transmissions and with similar-equipment. 2.Each team will establish a baseline dyno run, road race time, braking and drag strip time using the vehicle without any modifications other than to equalize them with factory options. 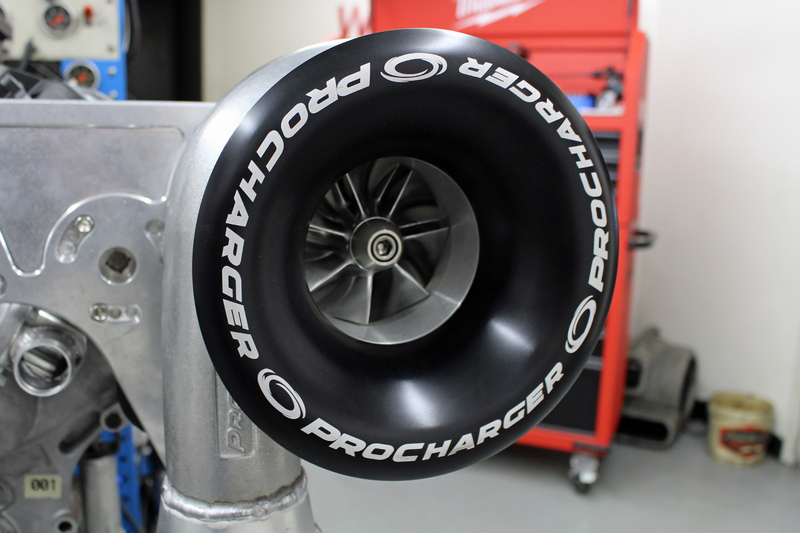 3.For Stage 1 modifications, each team will have a $5,000 budget for â€œbolt-onâ€ parts upgrades. Each must submit and disclose their final parts list and budget to the Horsepower Wars competition director in advance for approval. 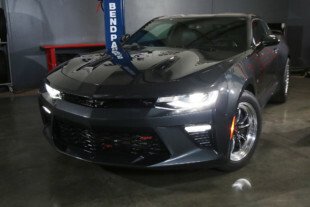 All items will utilize Summit Racing pricing (if available) as a baseline, and will not be required to factor in shipping costs or installation costs in the budget. No fabrication, customization, or internal modifications are permitted at this stage. 4.For Stage 2 modifications, each team will have an additional $15,000 budget for upgrades. 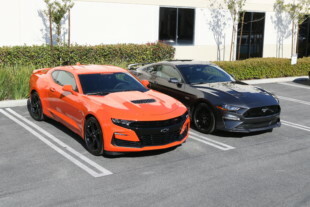 Both vehicles will be upgraded with superchargers, but each team may pick their model and boost levels. They must submit and disclose their final parts list and budget to the Horsepower Wars competition director in advance for approval. 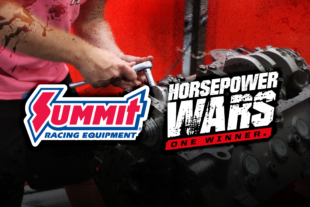 All items will utilize Summit Racing pricing (if available) as a baseline, and will not be required to factor in shipping costs or installation costs in the budget. No fabrication, porting, or customization will be permitted. Engines may feature upgraded pistons, rods, bearings, rings and camshafts if desired. 5.Safety equipment, spark plugs, ignition wires, fuel, brake pads, wheels/tires, gaskets and fluids will not be deducted from the teamâ€™s budget. 6.Tires will be equalized for both teams and vehicles. 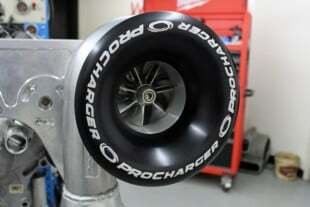 Mickey Thompson Drag Radials shall be utilized for dragstrip performance. Toyo R888R tires shall be used for the road course. 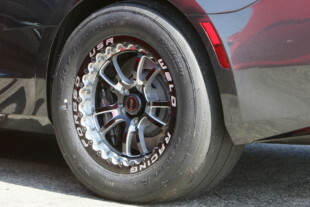 For Stage 2, drag-oriented wheels and tires may be utilized on both vehicles. 7.Fuel: During the stock baseline and Stage 1 modifications, 91 octane pump gas will be required. For stage 2, unleaded racing fuel will be provided to both teams. 8.Exhaust: A full exhaust system is required, including mufflers, and both teams must utilize catalytic converters. 10.Any additional fuels or additives, including race fuel, E85, or water meth may not be used. 11.Vehicles may not be lightened in any fashion or form, other than removing the spare tire and jack, lug nut wrench. 12.All parts installed must be â€œoff-the-shelfâ€ and commonly available to the public. 13.Cars will be run in real-world scenarios, no excessive or external cooling of engines is permitted.